The landscape responds to the busy start/terminus of the Cedar Street green street and a tall adjacent building by providing an introverted experience. 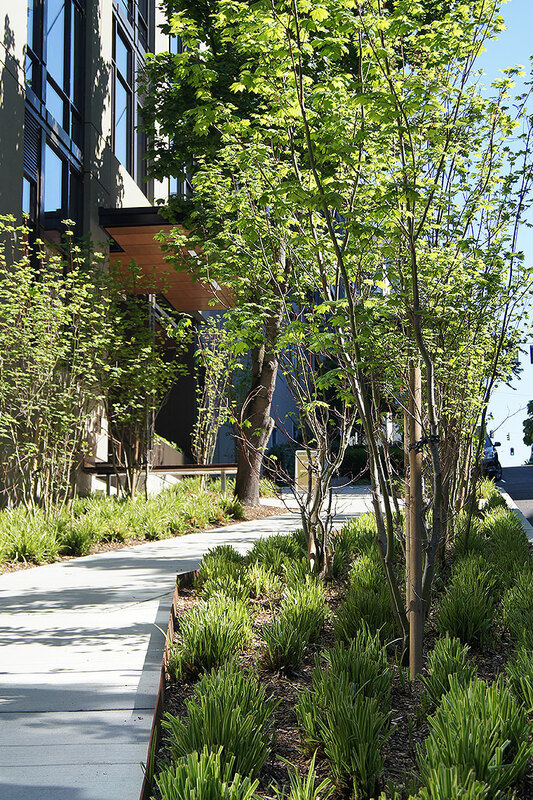 A dense urban understory of vine maples forms a grove that envelops pedestrians in filtered light. The widened streetscape of Cedar Street buffers traffic while small landings provide pedestrians places for pause. 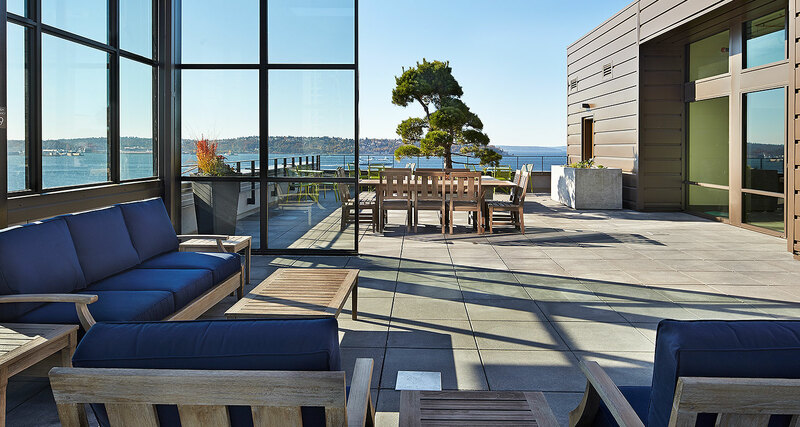 The streetscape character wraps around the building to the adjacent alley to the terraces and rooftop. 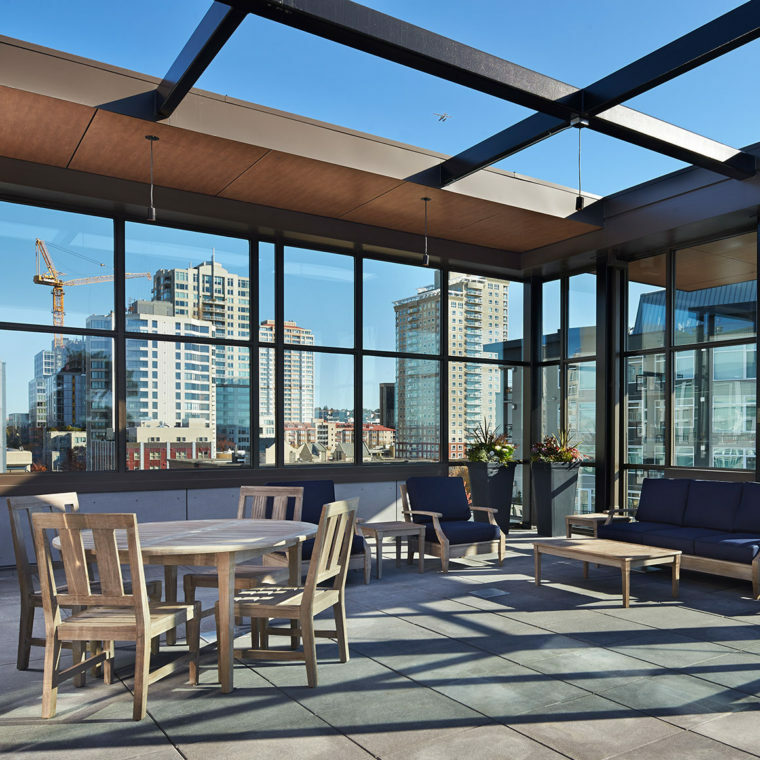 The first Green Globe certified residential high-rise in downtown Seattle receiving three out of four green globes for sustainable design elements. 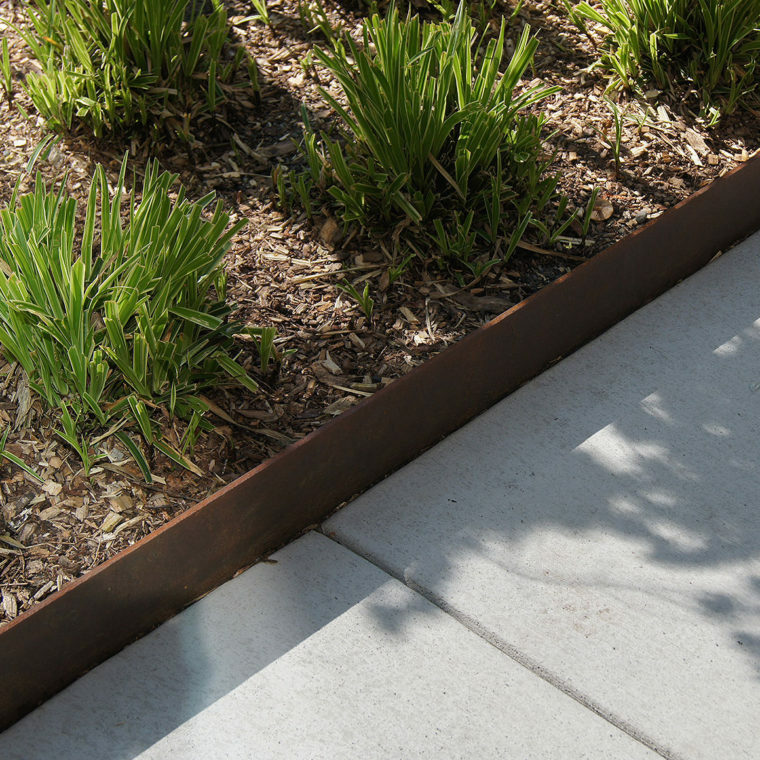 A generous courtyard offers comfortable areas for sitting and socializing, enhanced by the sight and sound of a water feature designed with salvaged terra cotta tile from a bank building previously on the site. A new model of inclusive development, Midtown Center moves beyond the standard approach to mixed-use development by bolstering local businesses, providing affordable housing and open space, maintaining a sense of place.